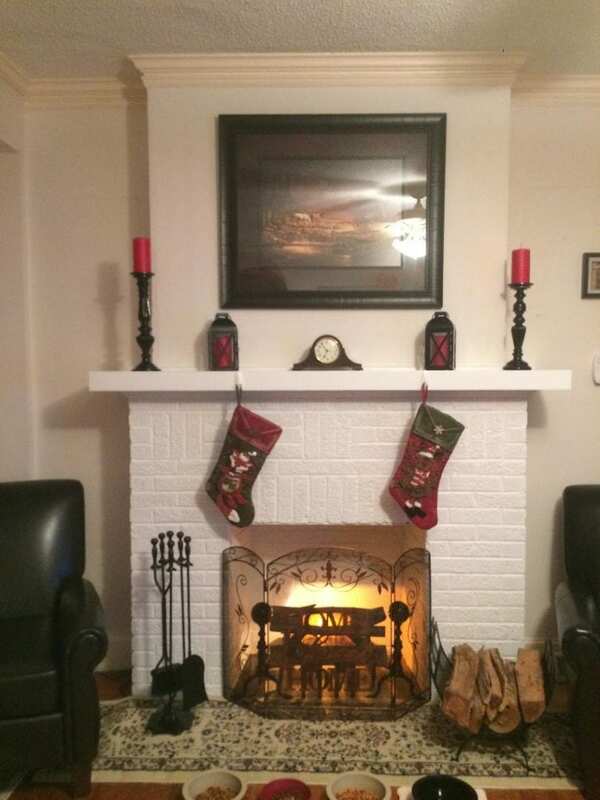 A big thanks to Carlos and Cristina S. in Folsom, CA, for sending photos of their Italian Antique Reproduction Mantel Clock in its new home in their beautiful dining room. 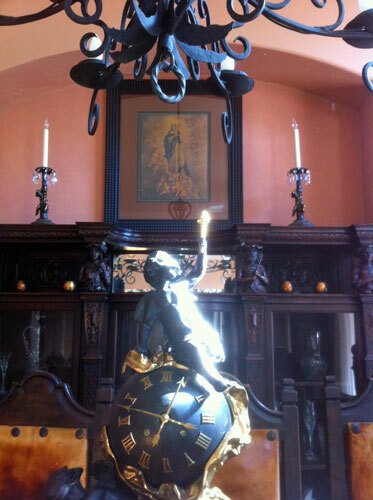 One cherub points dramatically upwards, which in this photo draws your eye to the large, Spanish Mission-inspired black wrought iron chandelier that is centered above the handsome, Antique Dining Table and massive, leather-backed Antique Dining Chairs. This Large Rococo Mantel Clock weighs 42 pounds due to the solid green marble base and measures more than 2 feet in height. 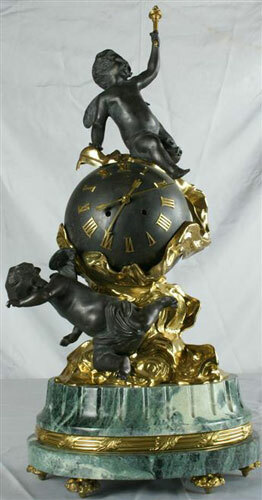 Two cherubs are in spiraling movement around the black globe in the center, which is draped in a gilded cloth, and has very pretty gilded feet and a reeded and ribboned decorative gilded band around the base. On the wall in the back of Carlos & Cristina’s dining room, is a highly carved and stunning Antique Renaissance Buffet with ornate carvings of caryatid figures, which act as support columns. Light from an open window to the right falls on the cherub, whose outstretched arm in this photo draws the eye to the attractively framed print of Our Lady of the Immaculate Conception, which was painted by the Spanish Baroque Master Painter, Bartolome Esteban Murillo, in 1678, and now hangs in the Prado Museum in Madrid. Candlesticks with cherubs sit on either side of the image of the Madonna, surrounded by cherubs, in ascension to heaven, completing this other-wordly design motif. 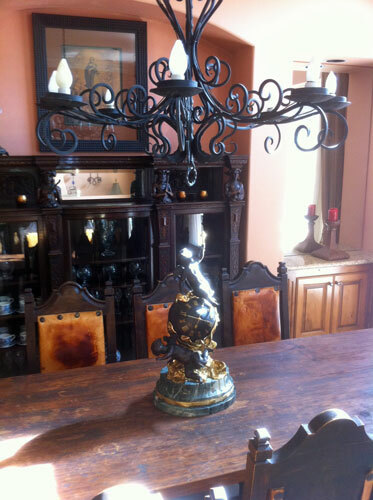 Thanks, Carlos and Cristina, for sharing images of your new treasure from EuroLuxAntiques.com – we wish we could join you for dinner and linger over a bottle of wine, perhaps a good Spanish red table wine from the La Rioja region? And thank you for stopping by the EuroLux Antiques Blog! 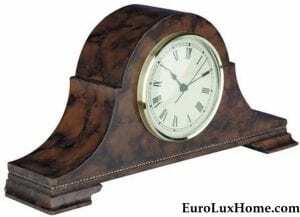 Click here to see more Antique & Vintage Mantel Clocks. This entry was posted in Client Spotlight and tagged Italian Antique Reproduction Mantel Clock, Mantel Clocks, Rococo Style, Spanish Mission Design on February 18, 2012 by euroluxantiques.